On July 7th one of Marvel's most popular superhero characters, Spider-Man, will finally debut his own standalone film Spider-Man: Homecoming in the Marvel Cinematic Universe. Now what does this have to do with Star Wars, you ask? In the first trailer for the film, released in December, you may have noticed a certain Star Wars Easter Egg. 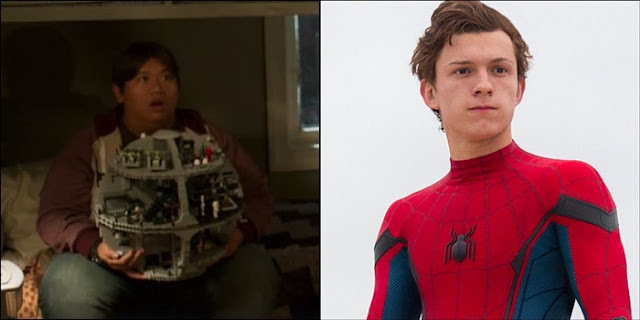 In one clip from the trailer, Peter Parker's friend Ned(Jacob Batalon) is seen holding, and subsequently dropping a Lego Death Star upon learning that his best friend is a superhero. In a new video from IGN, Tom Holland, who portrays the newest iteration of the webslinger, revealed his favorite prop from the Spider-Man: Homecoming, which just so happens to be the now famous Lego Death Star. Holland explains that the production had seven Lego Death Stars on set for the scene, and filming the moment became an extra challenge due to several of the toys being broken too early.